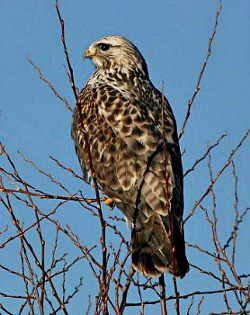 Learn interesting facts about New England hawks and eagles (Family: Accipitridae). Find photos, sounds, range information, and identification tips for each bird. Members of this family are found world-wide, on all continents except Antarctica. Hawks and eagles have hooked beaks and strong feet with sharp talons, as do all birds of prey. Females are larger in size than males in most Accipitridae species. 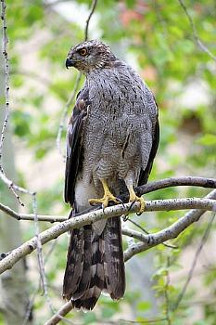 Accipitrids are meat eaters and hunt during daytime hours. Most species depend primarily on their keen vision to locate prey. However, their excellent hearing also draws them to the calls of their prey. The Northern Harrier relies much more heavily on its hearing than the other Accipitrids.